Comes complete with 64 shallow, 4 deep and 4 quad Certwood crystal clear trays. 4 columns of 3 trays. 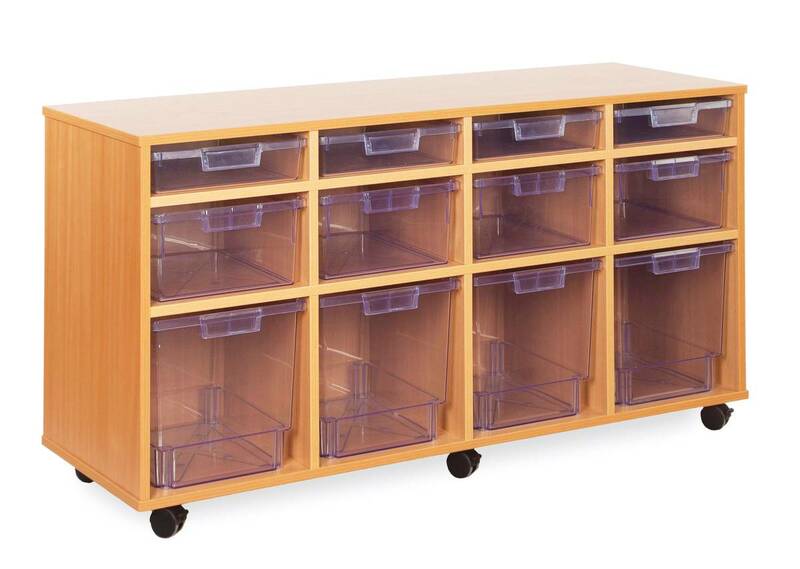 Tray storage is finished in Beech MFC, and is delivered assembled, complete with castors.